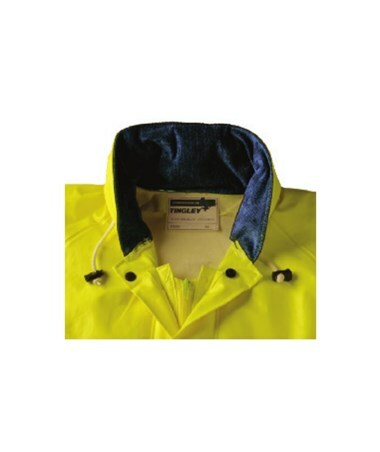 Featuring a flame resistant PVC layer, this High Visibility Fluorescent Yellow Green Jacket provides overall security against arc flash and flash fires. It has Therm-O-Rad sealed seams, attached hood, and a storm fly front with snap closure that shield out rain, heat, wind and contaminants. 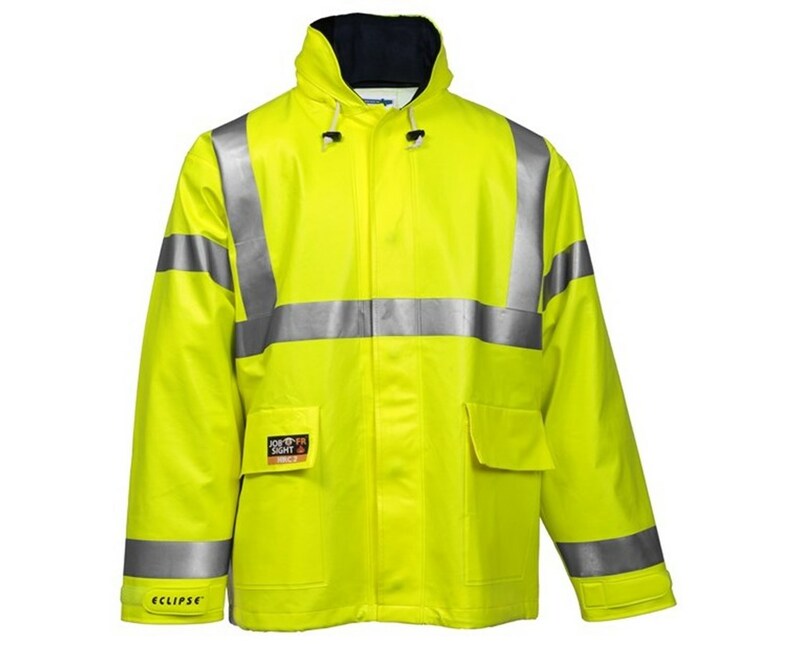 Built for safety and all day visibility, this fluorescent jacket also features 2-inch silver reflective tape that effectively reflects light in all angles and directions. The wide shoulder design of this jacket encourages ease of movement when working overhead. An adjustable drawcord and hook and loop take-up straps give added security while also bringing an adjustable fit. It also has a completely vented cape back for better air circulation and a D-ring access for fall protection harness. With good chemical resistance to many oils, acids, salts, alcohols and alkalies, this safety jacket is ideal for all gas and electric utilities, power generation, construction and pipeline work, and petrochemical applications. 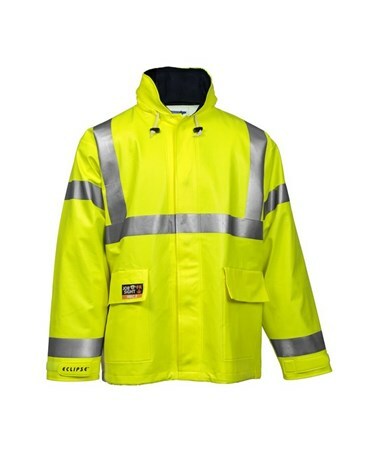 The High Visibility Fluorescent Yellow Green Jacket is available in size S to 5X (size chart). You can select your desired size from the drop down menu in the upper right hand corner of this page.